Butterflies are genetically wired to choose a mate that looks just like them, according to new research. And it may have implications for humans – also known to be turned on by those with a similar appearance. The phenomenon has been noted in a host of celebrity couples – in particular Benedict Cumberbatch and Sophie Hunter. Others include Jessica Alba and Cash Warren, Courtney Cox and Snow Patrol’s Johnny McDaid and supermodel Gisele Bundchen and American football legend Tom Brady. The finding published in PLOS Biology may translate into other species – including ourselves. Professor Chris Jiggins, of the University of Cambridge, said: “In terms of behaviour, humans are unique in their capacity for learning and cultural changes, but our behaviour is also influenced by our genes. “Studies of simpler organisms such as butterflies can shed light on how our own behaviour has evolved. His team observed the courtship rituals and sequenced the DNA from nearly 300 butterflies to find out how much of the genome was responsible for their mating. It is the first study of its kind and unlocks the secrets of evolution to help explain how new species are formed. 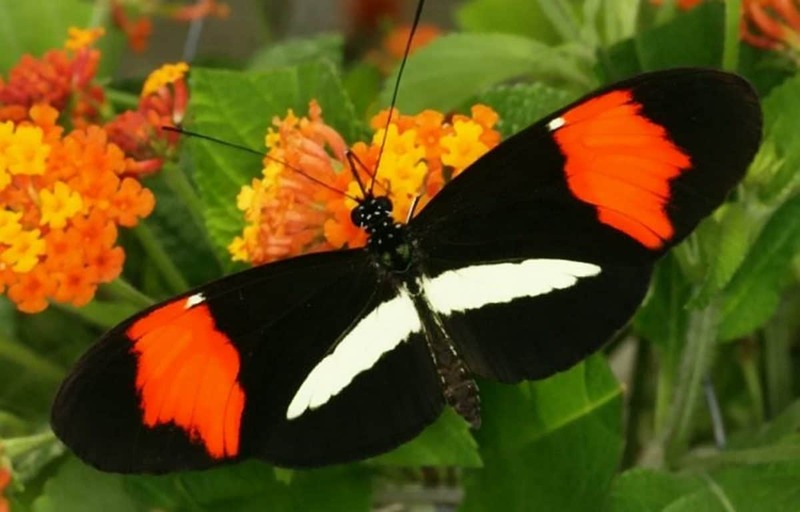 They mapped the genomes of two types of Heliconius butterflies which live either side of the Andes mountains in Colombia. They have evolved to produce their own cyanide which makes them highly poisonous. They also have distinct and brightly coloured wings which act as a warning to would-be predators. Co-lead author Prof Jiggins said: “There has previously been lots of research done on finding genes for things like colour patterns on the butterfly wing, but it has been more difficult to locate the genes that underlie changes in behaviour. “What we found was surprisingly simple – three regions of the genome explain a lot of their behaviours. The male butterflies were introduced to female butterflies of two species and were scored for their levels of sexual interest directed towards each. The scientists rated each session based on the number of minutes of courtship by the male – shown by sustained hovering near or actively chasing the females. Unlike many butterflies which use scented chemical signals to identify a mate, Heliconians use their long-range vision to locate the females, which is why it’s important each species has distinct wing markings. When a hybrid between the two species was introduced, the male would most commonly show a preference for a mate with similar markings to itself. The research showed the same area of the genome that controlled the colouration of the wings was responsible for defining a sexual preference for those same patterns. Co author Dr Richard Merrill, of Ludwig-Maximilians-University, Munich, said: “It explains why hybrid butterflies are so rare – there is a strong genetic preference for similar partners which mostly stops inter-species breeding. A second series of experiments found there has been ten times more DNA sharing between these butterfly species than occurred between Neanderthals and humans. Despite this genetic mixing, their distinctive appearance and behaviours remain intact, and have not become blended. Added Prof Jiggins: “Next we would like to know how novel behaviour can arise and what kind of genetic changes you need to alter behaviour. “We already know that you can make different wing patterns by editing the genes.